After almost quitting this VSU student sets the Internet on fire. Going viral in 2018 can be a hit or miss proposition. 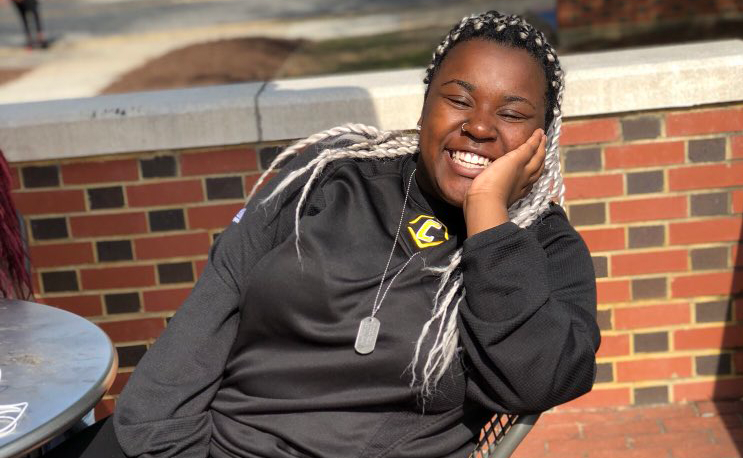 For Virginia State freshman Brianna Bundick-Kelly it’s been a hit after she decided to post a spot on recreation of Beyonce’s routine from Coachella. Brianna, who has a perfect Twitter handle (@Briyonce), so far has over 5 million views of her side by side performance with the musical superstar. The video has appeared on international outlets like Good Morning America, CNN, MSNBC and the Today Show. Much of it to Brianna’s surprise. Especially the shout out from Monica Lewinsky. Brianna has been on fire this week, a bit of a contrast to her upbringing. She’s originally from Alaska. She says she started recreating Beyonce’s about a year and a half ago. Five days later she was being embraced by the likes of Gabrielle Union and many more celebrities. What a difference a week makes. According to published reports, she is being approached by producers of entertainment companies. Her story speaks a lot about not giving up. A post on her Twitter feed says she was ready to quit making videos altogether less than a month ago before winning a student award at VSU. Hopefully the CIAA has already booked her for a halftime performance at the 2019 tournament. A special guest appearance with the Woo-Woos might not be a terrible idea either. The Alabama State dance squad stars in the latest Nike campaign. Big trip makes them appreciate the smaller things.